You can have the best business in the world, but if customers cannot find you, what’s the point? Establishing a market niche and attracting customers who are looking for your services is the top goal for most companies. If they don’t have a marketing or advertising department, they will usually designate an employee to handle this job. However, that person needs to not only be savvy about marketing but also to be willing to reach out in nontraditional ways like the following to attract a solid and profitable market base. Some business owners feel they are too busy running the company to socialize with their local business community. However, joining the chamber of commerce and networking with other professionals in the same industry or a related one can be productive in learning how others are attracting clients. Some business groups offer presentations by experienced members or training sessions for those who are looking to develop new marketing techniques. Get to know others who may be able to provide advice or suggestions on attracting new customers. The new generation of consumers, the Millennials, are growing up on social media. It’s all they know in terms of finding information and doing business. If you want to compete for their market share, it is a good idea to set up a dynamic webpage, join Facebook, and start tweeting to build a following. Offer free tips related to your company’s services, and you can quickly become the go-to business for helpful information. Network users will bookmark your company and begin to browse your products and services when needed. For speedy results in getting the word out to the public about your business, consider outsourcing your marketing and advertising needs. Companies like The Rainmaker Institute specialize in representing a specific industry sector, in this case, law, to bring to the public’s attention. Busy law firms may lack the time or talent to undertake an effective marketing campaign, so they can hire a specialty marketing firm to handle that aspect of operations for them. Regular marketing firms also provide marketing campaigns in various media, including email, television, and radio, to inform the public about a particular company. 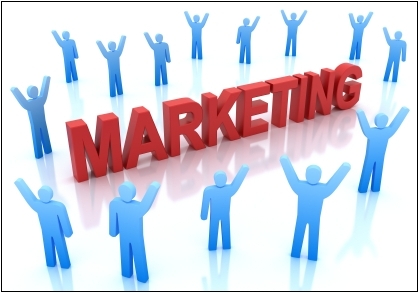 Marketing is such a valuable component of success that it is important to do it well. Tips like these can help to attract new customers who can then let others know through word of mouth praise, another effective strategy.